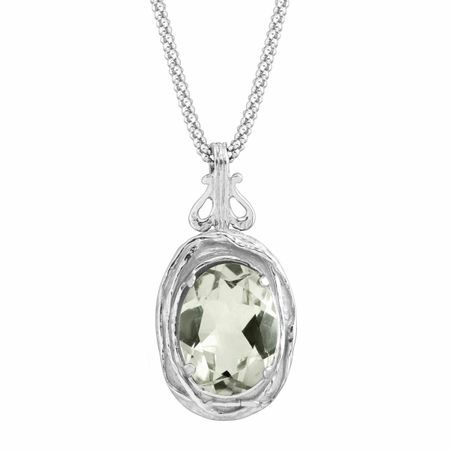 Feel like a queen in this green amethyst pendant! Surrounded by ornately textured sterling silver, you're sure to shine all day long. Necklace measures 18 inches long, plus a 2-inch extender for adjustable length, and features a spring ring clasp. Pendant measures 1 7/8 by 5/8 inches.